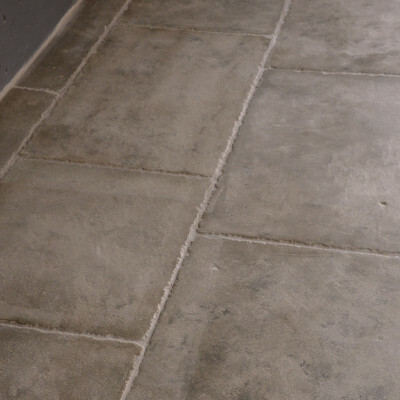 MONTBAZIN - Antiquated natural stone tiles. Shades of gray tints. Laying bands. Length: free ; Width : 19 in. In the style of floors used as of the 17th century in central south of France. Also called "Bar" of Montpellier.